What causes solar panel degradation? Although crystalline solar power panels are often sold with 25- to 30-year lifespan guarantees, those 30-year-old modules won’t be performing as well as they did on Day 1. Performance declines as solar cells experience degradation due to unavoidable circumstances like UV exposure and weather cycles. Manufacturers realize this, so solar panels come with a power output or performance warranty that usually guarantees 80% production at 25 years. So panels degrade automatically; that’s worked into their performance warranties. There are also outside forces that can contribute to a panel’s degradation and possible failure. We talked with Sarah Kurtz, research fellow at NREL and co-author of that oft-cited 2012 study, on how technology and manufacturing changes, along with installation practices, affect degradation rates. According to NREL, modules can fail because of unavoidable elements like thermal cycling, damp heat, humidity freeze and UV exposure. Thermal cycling can cause solder bond failures and cracks in solar cells. Damp heat has been associated with delamination of encapsulants and corrosion of cells. Humidity freezing can cause junction box adhesion to fail. UV exposure contributes to discoloration and backsheet degradation. These things just happen, and it’s difficult to determine how bad the degradation will be. Kurtz said module manufacturers are looking into every piece of the solar panel puzzle, all the way down to the encapsulants and adhesion materials, to try to slow degradation rates. If it wasn’t bad enough that solar panels turn on themselves after years in the field, outside products can also contribute to degradation levels. 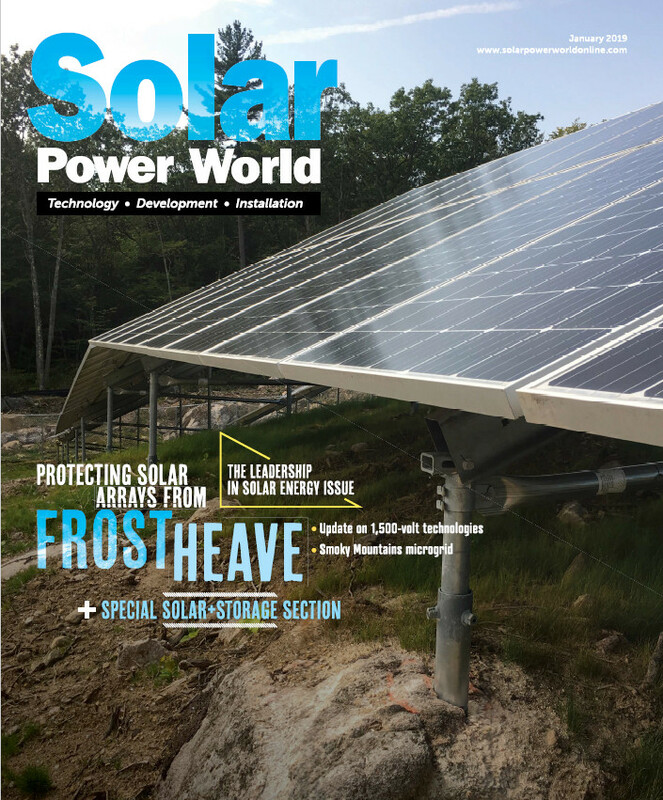 The increased usage of transformerless inverters on U.S. solar projects has raised the threat level of potential induced degradation (PID) of solar panels. PID happens when different components in the same system are at different voltage potentials (such as the frame and the solar cell), which can allow electrical current to leak and modules to lose their peak performance. Often, simply negatively grounding a system removes the concern for PID, but transformerless inverters are ungrounded. When that electrical current leaks, sodium ions in the glass move toward the solar cell or the frame, depending on how the system is grounded. There’s also an issue with the whole industry moving to higher voltages, because higher voltages make that current pull stronger, and sodium ions move more easily over top solar cells, reducing their output. Back in 2015, NREL surveyed New York installers and found that many were having the same issues with new solar modules. As module companies were trying to lower their prices, they made their frames thinner to reduce the aluminum. Bent frames can strain the whole panel, and it can be especially bad as panels get thinner and less mechanically robust. “It doesn’t necessarily stop working right away, but it will degrade with some time,” Kurtz said. Not all new technologies are bad, nor are all modules destined for failure. Kurtz mentioned that recent NREL research has found fewer PV module issues being reported. And although the types of problems may be changing, module warranties are increasing and system lifespans are getting longer. Smart buying and installation of solar panels and other project components can mitigate potential degradation chances. Using trusted products and installing them with care will ensure a solar system will perform at its best—with no more than 3% power loss each year. Thank you for discussing some of the negative aspects of PV systems! I’m not in green energy, but I work as a mechanical engineer and have extensive experience with industrial electrical systems, so I know that every technology has its weaknesses. I get so tired of every article pretending as if solar is some magical technology without any mechanical and electrical limitations degradation. You article does well to admit that they exist and to name what they are and what contributes to their occurrence. I also appreciate yhat you have given some indication of how manufacturers are working to mitigate some of these issues. Great article! Have there been any reports of fires caused by solar panels? We will have a cover on the ground to minimize vegetation growth. the 3% you cheerfully ask people to expect! We state in the article that median degradation rates range from 0.5% to 3% each year. Thanks for reading!